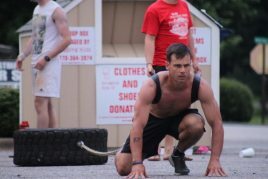 There is a ton of discussion in the CrossFit community over which recovery protein to use – Progenex vs SFH. Check out the info below and reviews and make your informed choice. You can take either brand for recovery after every training session. If you are training multiple times in one day, you can take a PROGENEX Recovery shake after each session. Should I drink a recovery shake on non-training days? PROGENEX Recovery is specifically designed as a post-training supplement. Taking it on non-training days will not necessarily add additional recovery gains. However, it would increase your high quality protein intake. 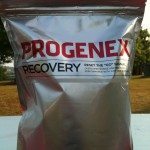 Can I take PROGENEX Recovery with PROGENEX More Muscle? Absolutely. Do I need to add double the water if I take PROGENEX Recovery with PROGENEX More Muscle? No. You would use the same amount of water as you would if you were taking either PROGENEX Recovery or More Muscle. Do you recommend mixing Recovery and More Muscle together in one shake? 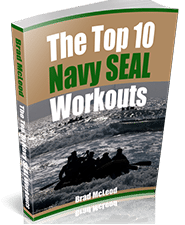 You can after longer, tougher workouts but it is not necessary on a typical workout. PROGENEX Recovery is typically enough for post-workout. Can Recovery and More Muscle be taken with carbs? Yes. You can eat some carbs approximately 15 minutes after consuming a Recovery or More Muscle shake. Can I sprinkle Recovery or More Muscle on my steel cut oats? We do not recommend it. You can eat your steel cut oats about 15 minutes after drinking your Recovery or More Muscle shake. Can I blend fruit or yogurt with my Recovery shake? Yes. This formula re-energizes your cells by increasing your ATP levels (Adenosine Triphosphate – the energy powerhouse of the cell). Within an hour after the workout, mix yourself up a dose of Recovery Formula. Then, either eat a real meal or take another dose about two hours later. The purpose is to re-energize your tired muscles and help them recover, protect against joint injury and decrease the negative effects of free radical oxidants. RECOMMENDED DOSE: As a dietary supplement, mix one scoop with 6-8 oz water or milk (skim, whole, raw, almond). Recommended to be taken within one hour of activity. Store in a cool dry place. Do not refrigerate. Contains 30 servings. For nutritional information, download the product label. Good quality ingredients, mixes well, and the most economical per gram of protein compared to others with similar ingredients. Sometimes after a workout, you feel like you’ve recovered but at the cellular level you haven’t fully recovered yet. Recovery is 2/3 whey concentrate derived from grass fed, free range cows that are never treated with antibiotics or bovine growth hormones and 1/3 essential amino acids for recovery. *This product contains allergens: milk, shellfish and coconut. Please note that glucosamine is derived from the shells of shell fish. Although allergic responses to glucosamine have not been reported, if you are allergic to shell fish you should be fully aware of this issue and either totally avoid this product or consult your health care physician before using. Questions from athletes at our gym. Question: “Coach, are protein shakes the best for muscle gain?”. I would say to first eat a good meal with lean protein. Add in some eggs and drink a glass of milk. A protein shake is good after a solid meal. Question: How do you rate progenex more muscle vs. SFH or sfh endurance? The More Muscle (MM) is made to help build muscle more so than the Progenex Recovery. Question: Have you ever heard of Pro7? Do you have any reviews for progenex vs pro7? We are looking at that product now and hope to get a review up soon. Question: What about Purepharma vs SFH? Both make very good fish oil. I would try both and see how your body responds to them. We are working on a side by side review now. Question: What about ON amino energy vs sfh push? We are working on a review of both products now – here is the link for that article.